MEASUREMENT FOR NINA MÛR EYEWEAR CAN BE FOUND ENGRAVED ON THE INSIDE OF THE TEMPLE ARM OR ON THE ACETATE TIP. 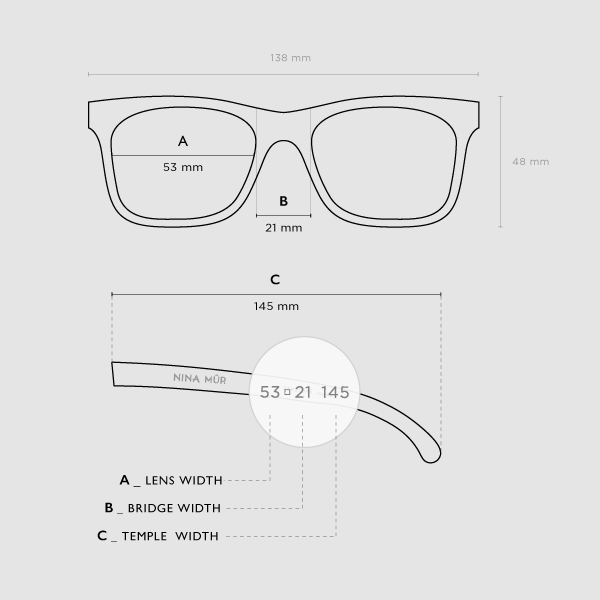 Most eyewear brands print these details in a similar position, if you already have a pair that you like, you can compare it just to have an idea about how our frames will fit in your face. is the width of the lenses at the widest part. measures the piece of metal or plastic that connects the lenses, in order to measure the bridge, you have to start and end at the innermost side of the lenses and measure to the same spot on the other side of the bridge. 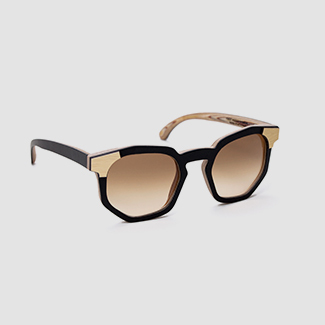 is the measurement of the arms of the sunglasses, the size of the arms starts at the hinges and continues in a straight line to the farthest point without sloping downward.